Neat as a PIN! This spacious, immaculately-kept, low maintenance stunner is now available in Summerbrooke. Located on the north side of Branson, this property gives you all the peace & quiet you'll desire, but within a 5 minute drive to shopping and dining. 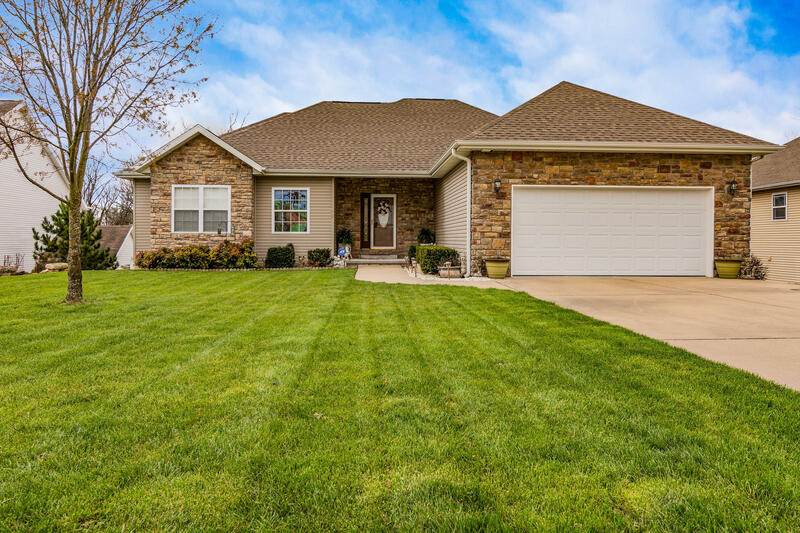 This beautiful home boasts hardwood flooring, granite counters, custom tile work, spacious bedrooms, two living rooms, game room, craft room, John Deere room/workshop and TONS of storage! The back deck faces the trees and is built with composite decking, vinyl railings and is complete with a sun setter retractable shade. New roof in 2017 and fridge, oven are less than 2 years old! This home is move-in ready for anyone looking for a great permanent home or weekend retreat! Move here and you'll have all the space you'll ever need! Deck Aprx Room Sizes: 12'x15'6'' Covered, Comp Decking, Sun Sh.